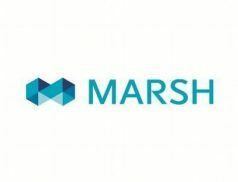 Insurance broker Marsh is collaborating with data security platform Evident to develop a blockchain identity and insurance verification solution for clients in sharing and gig economies. Headquartered in New York City, Marsh is a wholly owned subsidiary of Marsh & McLennan Companies, a global professional services firm in the areas of risk, strategy and people. Its risk management services include business risk analysis of the geopolitical environment, cybersecurity consulting, business interruption potential, and regulatory issues. The company claims to have over 30,000 colleagues that advise individual and commercial clients of all sizes in over 130 countries. Evident’s platform allows businesses to know who they are dealing with without handling sensitive personal data. With connections to thousands of authoritative sources through a single API, Evident claims to be the only platform that enables comprehensive, accurate and up to date identity and credential verifications without the risk and liability of holding personal information. Earlier this year, Marsh announced its commercial blockchain for proof of insurance, which was built on the IBM Blockchain Platform and open source Hyperledger Fabric, with input from ACORD, a non-profit organization that provides the global insurance industry with data standards and implementation solutions. The solution aims to transform the certificate of insurance process from complicated and manual, to streamlined and transparent. It allows clients to speed up necessary business functions such as hiring contractors and transferring risk while increasing coverage certainty. Marsh’s collaboration with Evident is aimed at expanding the capabilities of the blockchain solution for proof of insurance. The solution will be connected with Evident’s Identity Assurance Platform to digitize certificates of insurance into immutable records so that all permissioned parties can instantly verify information.